We have 1000's of Yards of Decorative Drapery and Upholstery Fabrics in stock. We have 1000's of fabric designs to choose from. All are in stock. Custom Drapes to set off the look of the room. Add this custom treatment to your home décor! 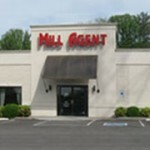 Take a look at what you can see at Mill Agent. Choose from a wide range of fabrics, styles, and accessories. We will help you develop your own personal style. We offer a wide range of special services that allow you to coordinate all your decorating needs. From draperies, window hardware, blinds, bedspreads, or coverlets, to cornice boards. Mill Agent will help you select the perfect combinations from a wide range of beautiful options. We have 1000’s of yards of decorative drapery and upholstery fabrics in stock. 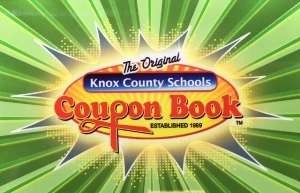 The selection includes P. Kaufmann, Waverly, Swavelle, Fabricut, Richloom and much more!!!! Come see the largest trim selection in the Greater Knoxville Area. Trims from Trimland, Marcovaldo, Brimar, Fabricut, and Claridge with styles, sizes, and colors to choose from. We have the trim to complete your project. Accent your window treatments from Kirsch, The Final Company, Antique Rod Company, Select Drapery Rod by selecting many different styles of hardware ranging from decorative wood products to our wrought iron products. We make draperies in our quality controlled workroom. You select the fabric and style, and we will custom design according to your specifications. Any drapery hardware you may need is also available at discounted prices. Our many custom styles and designer fabrics gives you endless choices that will compliment any room, all custom made. In addition, we can also custom design coordinating dust ruffles and pillows. Bedspreads, Coverlets, and Duvets are custom-made to fit perfectly with your decor. Let our in-house decorator help design your bedroom to suit your style. We can custom make Baker Quality Furniture – select from a variety of styles with your choice of Fabric from our extensive selection. Our Custom Blinds are a practical and handsome to highlight any room. They provide light and privacy control, and they’ll look good for years with minimal care. Your choices are endless from Custom Wood Blinds to Custom Wood Shutters.